It’s that time of year. Summer, swimming in the river, sipping lemonade, and relaxing. It’s also the time of year for fresh juicy vegetables and fruits. Head over to our many local markets to satisfy your stomach. There are many markets to chose from but our main market is right in downtown Nevada City. Come every Saturday for live music, fresh food and baked goods, and cold drinks and shop for food proudly grown from local farmers. Eating locally saves large amounts of useless packaging and energy used for food shipped around the world. Come listen to talented artists in downtown Nevada City. Farmers markets have a huge variety of fruits from nectarines and peaches to berries to melons all grown with pride and care. Many local cafes set up for the downtown market. Stop in for some soft bread or pastries or a cool drink for a hot day. Our local markets have a huge supply and fresh, ready to eat vegetables. Come have a juicy berry basket or apple and treat your body as well as your taste buds. Riverhill, Mountain Bounty Farm, and First Rain Farm are just a few of the many vendors there. 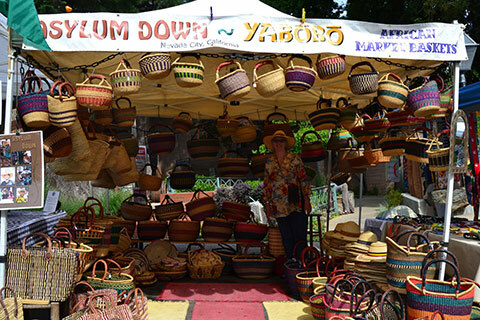 Farmers market isn’t all food, come look at our imported woven basket collection and beautiful recycled fabric bags. Nevada City is a small town you’re likely to run into someone you know. Spend an afternoon catching up with some cold drinks and live music. The downtown Nevada City market has some beautiful soaps and amazing smelling lotions. 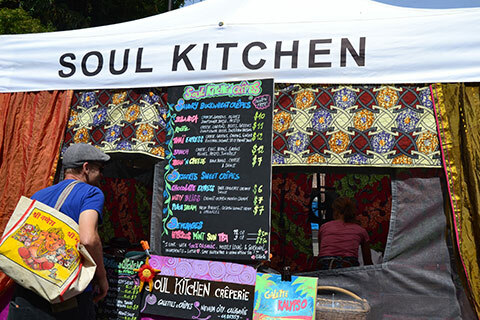 There’s some great ethnic food options at the markets for you to try. Every face you see is a smiling one and the vendors are oh so friendly and helpful. Help your skin soak in that beautiful sunlight by shopping outdoors at the markets instead of the grocery stores. These fruits and vegetables are top quality, juicy and utterly delicious. 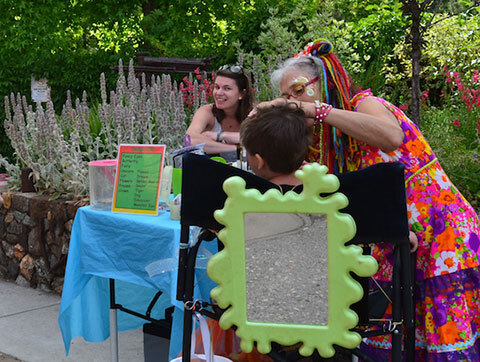 Your little ones can have their face painted at the downtown farmers market. With a variety of colors they can turn into a super hero, butterfly, princess and so much more. You can learn something new maybe how a fruit is grown or what native herbs are in the area. Our local markets have gorgeous, fresh flowers. Add a splash of color to your home with a bouquet or just a few. The fruits and veggies and natural and organic and so very fresh and ready to eat. The food there is freshly picked from what is in season. Shop often and watch how the seasons change. Enjoy the beauty of Nevada city. Bikes and beer in Nevada City. Your guide to 52 days of pure bike heaven and locally brewed beer. 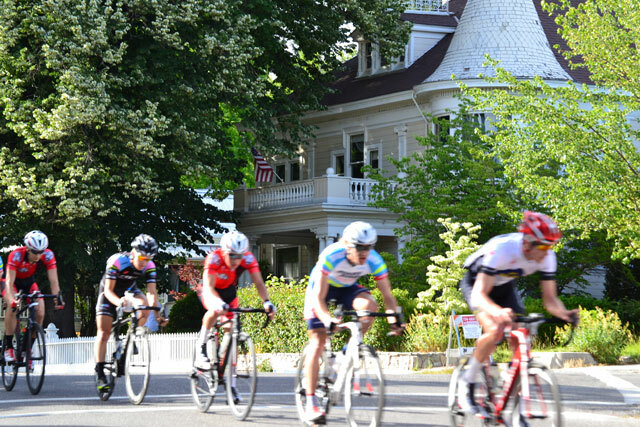 Visit May 1 to June 21st, 2015, for 52 days of bike-related events, local rides, live music, great food, local atmosphere and great beer in Nevada City. 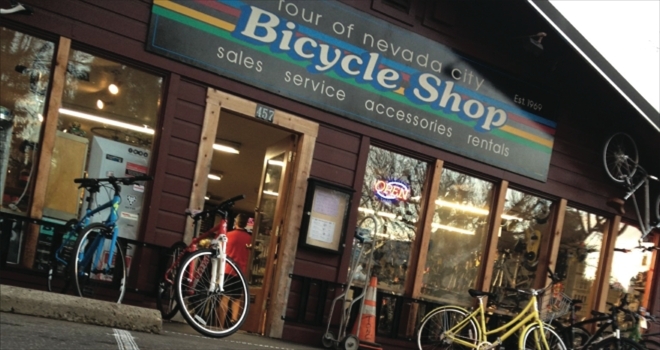 On Friday, May 1st, Nevada City kicks off the inaugural Bike Nevada County, a grand 52-day celebration of pro, amateur and recreational road cycling and mountain biking in Northern California. 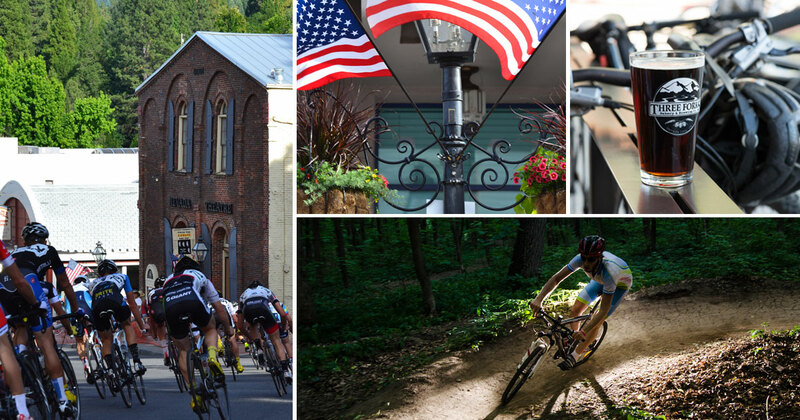 Nevada City is surrounded by National Forest, and is a spectacular destination for both road and mountain biking. Nevada City is also home to Ol’Republic Brewery, 3 Forks Brewing Co., and a number of restaurants pouring local craft beers. Race 1 of 3 (10-14 year-olds). Lyman Gilmore School, Grass Valley. 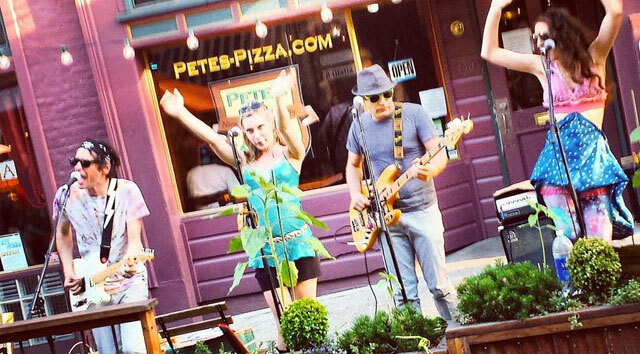 Food, wine, & live music in downtown Nevada City from 5-9 p.m.
Race 1 of 3. Tahoe National Forest, near Nevada City. This mountain bike ride parallels Highway 20 and has a very nice flow. The best way to do this ride is to have a friend drop you off at White Cloud Campground (or shuttle a car). 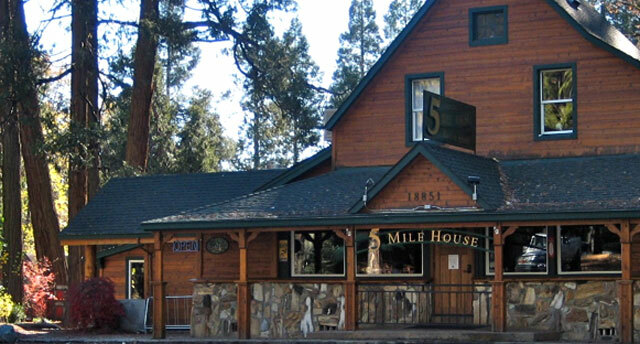 Then ride the Pioneer Trail west to the 5 Mile House and have lunch, and regional craft beers, on their patio. After lunch continue into downtown Nevada City on the Old Miner’s Loop Trail. Another ride option is to park at Harmony Ridge Market (across the street from the 5 Mile House, and ride the Scotts Flat Lake Trail). On your mountain bike from downtown Nevada City, ride behind the Miners Foundry and down Factory Street. Keep to your left and look for signs for the Deer Creek Tribute Trail. 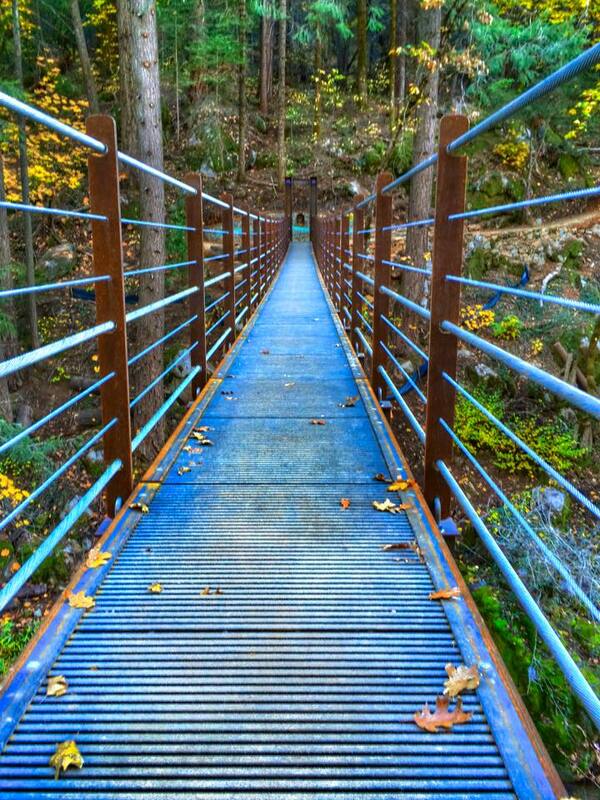 Cross the Deer Creek Suspension Bridge. End your ride at the back of the Nevada City Tech Center and then ride down Zion Street to Argall Way. 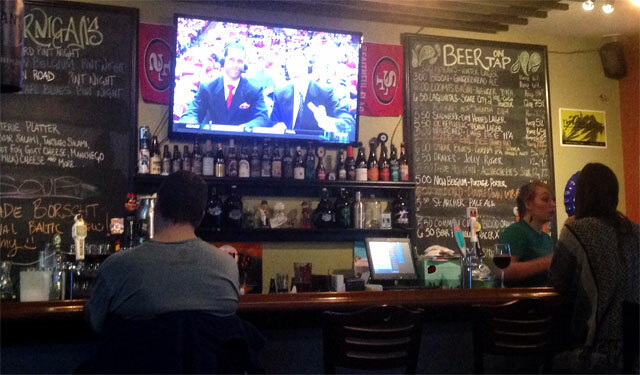 Look for Jernigan’s Grill & Tap House. Jernigan’s has 13 beers on tap and seeks out the very best, hard to find and eclectic brews that just don’t make it to mainstream, along with a number of local favorites. If you go on a Wednesday night it’s Pint Night where they showcase a handful of great beers and get you a cool pint glass along with your brew. If you want to make this ride a little longer, you could always do the Hirschmans Trail first, then ride down Indian Flat to Newtown Road. From there turn left onto Champion Mine, and the ditch trail that parallels it, then connect with the Tribute Trail. Race 2 of 3 (10-14 year-olds). Tahoe National Forest, near Nevada City. Race 2 of 3. Tahoe National Forest, near Nevada City. Ride the beautiful and historic backcountry of Nevada County. There are route options for all levels, ranging from 18 to 100 miles. Drive to Sacramento (1 hour from Nevada City) and watch the start of the Tour. Then, on your way home, stop in Auburn, and have lunch at the Auburn Ale House. Be sure to try their Gold Digger IPA. Sit outside on their patio, overlooking beautiful Deer Creek. Drink Ol’ Republic’s English Pale Ale (Gold Medal Winner). Follow the finish on social media, or watch it live on TV. The final stage starts at 9:15 a.m. and the estimated finish is around 11:45 a.m.
Go for a ride and eat at 3 Forks Brewing Co.
Three Forks Bakery & Brewing Co.’s well-balanced and tasty beer is brewed on-site in their Nevada City restaurant. A wood-fired pizza oven cooks thin-crust sourdough pizzas to perfection, and their food is made using fresh, organic and local ingredients. Race 3 of 3 (10-14 year-olds). Nevada Union High School, Grass Valley. Every Saturday at 9 a.m. Meet in front of Paulette’s Country Kitchen. 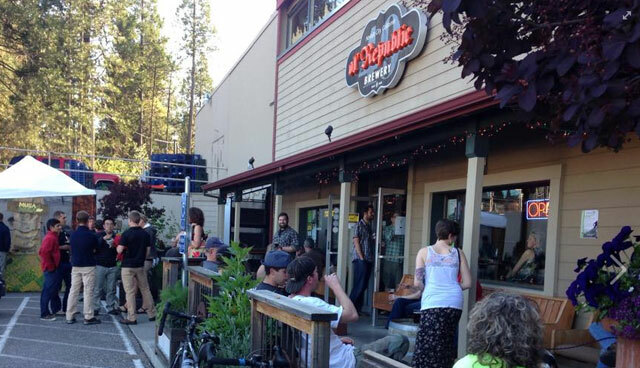 6:30 p.m. at Tour of Nevada City. This band always delivers tangible energy and infectious enjoyment. Doors are at 7:30 p.m. and the show begins at 8:00 p.m. at The Miners Foundry. Race 3 of 3. Tahoe National Forest, near Nevada City. Family Mountain Bike Ride. 9:00 a.m. at the Rood Center. Bear Yuba Land Trust. Go for a ride then then have lunch at either Knee Deep Brewing Co. and 50/50 Craft Brewery. Ol’ Republic Brewery is a commercial brewery with a taproom. Their ales include an English-style IPA, a Celtic Red and the blackest Export Stout you will ever encounter. Visitors are encouraged to bring their own picnic basket, or order food from a variety of menus provided by local restaurants offering take-out. Children are welcome in the taproom, and dogs (on a leash) are allowed in the beer garden. Food, wine, & live music. Downtown Nevada City from 5-9 p.m. Bistro 221 has four taps, and pours only local beer. Try Ol’Republic’s Black Bavarian, California Common, and Lucky Joe IPA, or Auburn Alehouse’s Fool’s Gold. 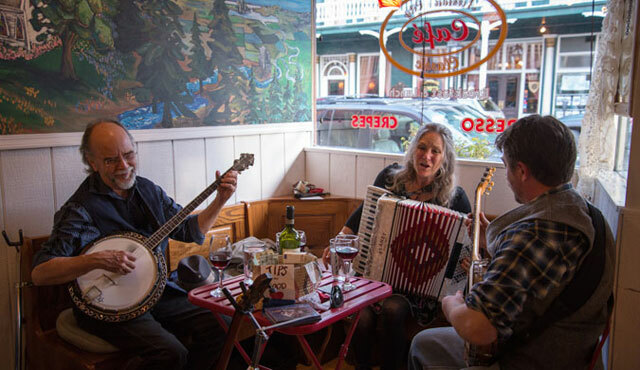 Every Friday Night from 6pm to 9pm join local musicians Maggie Mc Kaig, Luke Wilson and their pals for a community/family bistro soiree that is typical of European life. Enjoy traditional French crepes and savory European foods, served with wine and beer. Celebrate summer Nevada City style! Enjoy live music, local farmers, vendors, and artists, freshly baked treats and more. 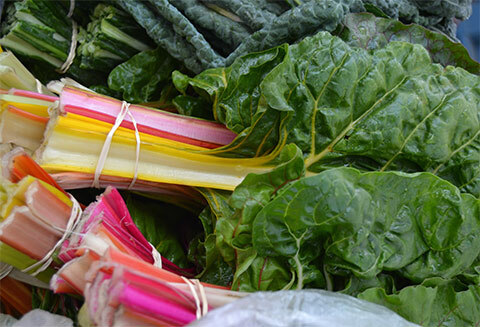 Shop for healthy food, locally grown with care and pride. Come, feel the energy and live the goodness! 8:30 a.m. t0 1:oo p.m. Teams will race nearly 1/2 mile downhill (powered only by gravity) on Nimrod Street in Nevada City, while being judged for creativity, speed and team spirit! Proceeds benefit Pioneer Park. Starts at noon. 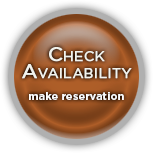 After your ride enjoy dinner and live music at Matteo’s Public. Every night Matteo’s has live music (outside on the patio when the weather is warm). 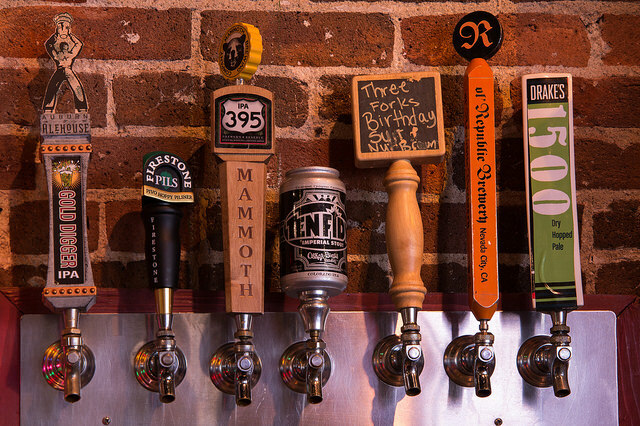 They also have a great selection of regional craft beers on tap, that rotates weekly, including beers from Ol’Republic, Three Forks, Mammoth Brewing Co., Auburn Alehouse, and Loomis Basin Brewing Co. If you like to try new beers, you’ll love their 4 oz Ale Tasters where you can try seven (7) beers on draught for $13.00. Festival runs from June 18th to 21st at the Nevada County Fairgrounds. Enjoy live music, local farmers, vendors, and artists, freshly baked treats and more. 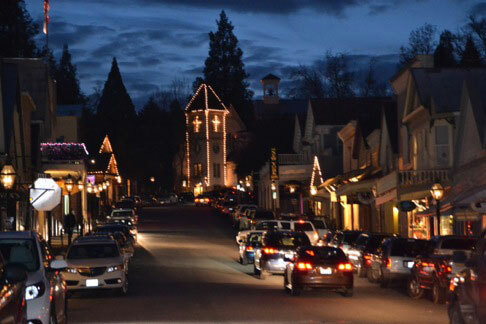 The holiday season in Nevada City is one of my favorites. It kicks off over Thanksgiving weekend with The Artisan’s Festival and the Nevada City Methodist Craft Faire. Victorian Christmas starts just after Thanksgiving, and “The Christmas Card” movie, filmed in Nevada City, begins to air then too. If my best friend came to visit me over the holidays, this is how I would show her my town. Enjoy this selection of completely-biased, local favorites, for the perfect Nevada City holiday weekend. 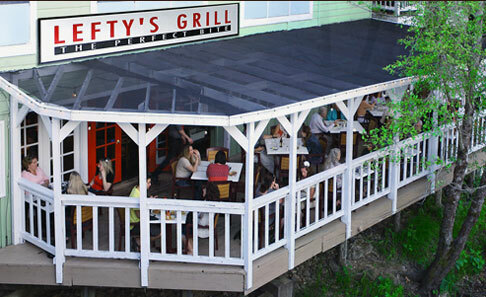 Start your weekend on Friday night with dinner at Lefty’s. The restaurant has moved from the middle of Broad Street, down to the bottom of Broad on the creek. The views are great, and Friday is their fish & chips night. If you love traditional English fish & chips, you won’t be disappointed. Enjoy your dinner with a pint of one of their beers. They have a great beer selection, and you could take one of your beer snob friends here and they wouldn’t complain. After dinner you have a lot of entertainment options. There is usually something playing at the Nevada Theatre. Just walk by the box office before dinner to see if there’s a play that night. Also, check the Miners Foundry schedule. 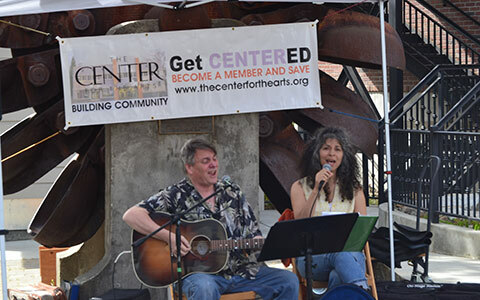 For a complete list of venues offering live music and entertainment in Nevada City, visit the Chamber’s Arts & Entertainment section. On Saturday morning go to breakfast at South Pine Cafe. I love the Huevos Rancheros, the breakfast burrito and their breakfast sampler, but all their food is yummy, so you can’t go wrong. After breakfast wander around town and do a little Christmas Shopping. First stop at Abstrakt for some bracelets, scarves, comfortable clothes or candles. Abstrakt oozes style, and you are sure to find something for the person who has everything. Next door is Gray Goose, and you’ll want to stay for hours. The owner, Stuey, carries “everything from the sublime to the ridiculous.” You’ll find lots of stocking stuffers for adults here. After Gray Goose walk up Broad Street and stop in at the Nevada City Chocolate Shoppe for their homemade chocolates, caramel apples, or Nevada City Gold. Then turn right on Pine Street and walk down to J.J. Jackson’s to look through their colorful kitchen items, travel bags (my favorite! ), and book selection. When you’ve had enough shopping, walk back to Broad Street and head to Curly Wolf for a warm drink. You’ll love the warm interior, sort of a hip Victorian salon, if there is such a thing. I always order the chai tea latte with soy milk, but also can’t resist their hot chocolates and London fog. Their teas are all loose, and they infuse them in your mug with your steamed milk. So good! If they have the butterscotch bars, make sure to try at least one. 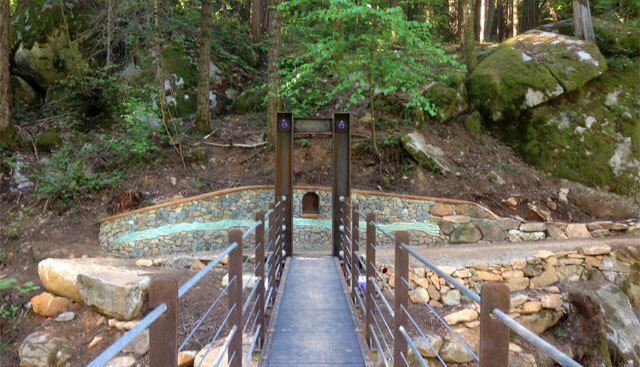 The Miners Foundry Artisans Festival is one of the longest running festivals in Nevada County and is known for showcasing the exceptional work of regional artisans. Enjoy installation art displays, performance art, live music, children’s holiday art activities, and a Wine Bar. The festival takes place Friday and Saturday of Thanksgiving weekend, from 10 a.m. to 5 p.m. The Nevada City Methodist Craft Faire is held Friday, Saturday and Sunday of Thanksgiving weekend, from 10 a.m. to 4 p.m. (opening at noon on Sunday). There are handmade gifts for all ages, homemade soup and sandwiches, pie, coffee and hot spiced cider. Note: if you’re visiting over Thanksgiving weekend and attend these festivals, you’ll be out of time to do the walk over the Suspension Bridge, so do this on Sunday afternoon instead. After your break at Curly Wolf, head up Broad Street, and then turn left at the Nevada Theater and walk down to Miners Foundry. As you pass Miners Foundry, you’ll see a street that runs around the back of the Foundry (as you look at the Foundry, the street is on the right side of the building). Once you are on this street, you’ll turn right on Factory Street. This road will take you to the Deer Creek Environs Trail and across the new Suspension Bridge over Deer Creek. Saturday night go to dinner at Sushi-in-the-Raw (make reservations as many weeks in advance as possible, as it’s really hard to get a table). I always have one of their drunken shooters with a scallop (sounds gross, but trust me, it’s delicious and I’m sort of picky). The Susan Roll is also amazing. Their sushi is always fresh. After dinner, head down Spring Street and then turn left onto Pine Street. You’ll cross Broad Street, and then you’ll see Friar Tucks on your left. Turn left at Friar Tucks onto Commercial Street and Off Broadstreet Theatre will be just past it, on your left. They always have something showing on Friday and Saturday nights. There’s lots of singing, and you sit at cafe tables, and enjoy drinks and dessert during the show. End your night with a walk through town to enjoy the lights, which are so pretty this time of year. In the morning go to Ike’s Quarter Cafe for breakfast. Their frittatas are amazing, or, for a decadent treat, get the french toast with chocolate chips and cream… yummmm. During the school week, this is the walk of choice for local moms, after they drop the kids off at school. If you are staying at Broad Street Inn, walk out of the Inn front door, and turn right onto Bennett Street. Depending on the direction you choose, you can either walk up or down the big hill. If you want to get your heart rate up, turn left off of Bennett onto Monroe. At one point there will be a fork in the trail, stay to the right on Old Downieville Highway. Or, if you’d rather take it easy, keep going on Bennet Street up American Hill. The beginning of American Hill is a little steep, but nothing compared to the hill the other direction. If you have a phone, one landmark you can enter for the halfway point is Queen Lil Place. This road is at the opposite end of the loop from town, and something you can reference to make sure you are on the right path. After your walk you’ll be ready for another snack. Directly across from Ike’s Quarter Cafe is Treats. It’s a tiny little shop, and sometimes the line is out the door, but it’s worth the wait. In the winter they have pumpkin and also peppermint ice cream, and you can sample the flavors before you choose. If you are visiting in December you will be ready to wander around town for the annual Victorian Christmas street festival. This annual, family tradition takes place on two Wednesday evenings and three Sunday afternoons in December (noon to 6 p.m.). The downtown transforms into a genuine Christmas card come to life. 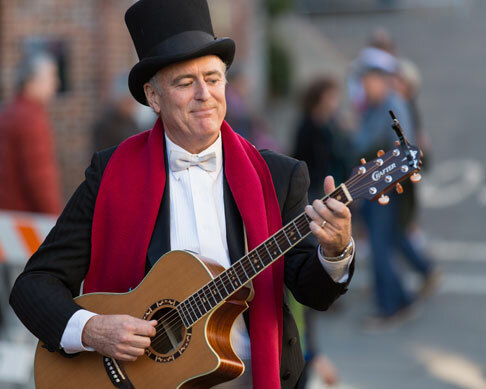 It’s a magical setting of hilly streets outlined with twinkling white lights and authentic gas lamps, wandering minstrels and carolers dressed in Victorian attire, and a myriad of visitors sharing holiday cheer and good tidings. For more information go to the Nevada City Chamber’s Victorian Christmas page. Sunday night go to dinner at New Moon for “big city dining with a small town atmosphere.” They use local, natural and organic food. Dining there is always relaxing, and delicious. After dinner, walk down York Street towards the Nevada Theatre on Broad Street. Peek at their Sunday Film Series to see what is playing. The Nevada Theatre is California’s longest running theatre (built in 1865). They host a variety of foreign and independent films, and documentaries. Films run every Sunday evening and many weekends. This time of year you might get lucky and catch a showing of “The Christmas Card” movie, filmed in Nevada City. To check showtimes, visit the Chamber’s The Christmas Card page. After watching it you’ll walk through town and see it different. The church in the movie is Nevada City Methodist Church, on Broad Street, above the Nevada Theatre. The cafe is Nevada City Classic Cafe, also on Broad Street, which is across from the National Hotel, also in the film. The Christmas Tree Lot doesn’t really exist, but was set up on the corner of Pine and Commercial Street. Before you leave town, have breakfast at Java John’s. This is a classic, small-town, Nevada City coffee shop. The same crowd is there every morning during the week. You’ll see kids coming in on their way to school, and the table of regulars working on the daily crossword puzzle. Rita and Patrick are always there and often their son Chris. It’s a cozy, family-run cafe, and the perfect way to finish off your Nevada City holiday weekend.